Figuring out the Restream Server to stream to is no longer a guessing game with our recent speed test addition! 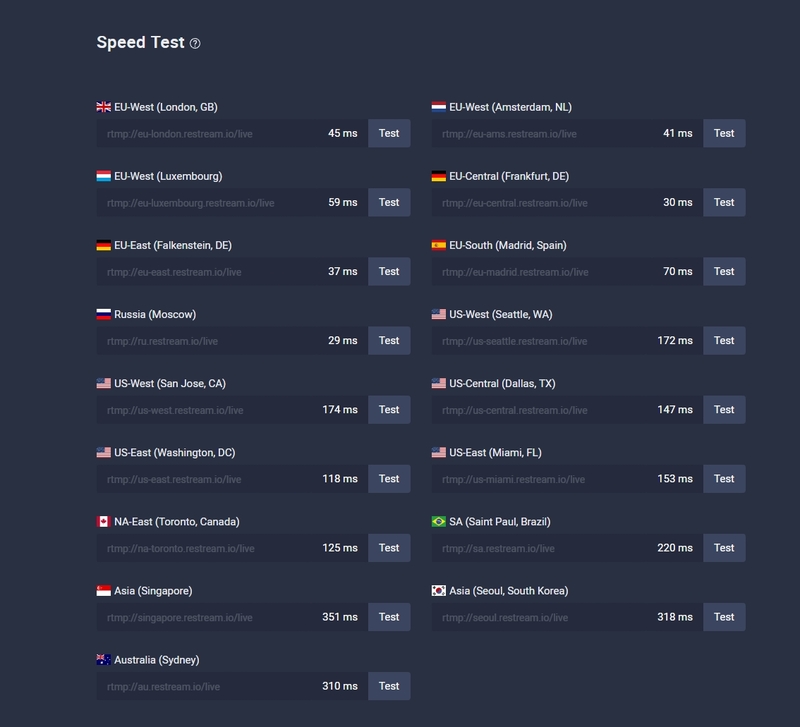 Simply head on over to our new speed test page and instantly the page will start to ping our servers and show the current ping in milliseconds, for this these, a lower ping is better. 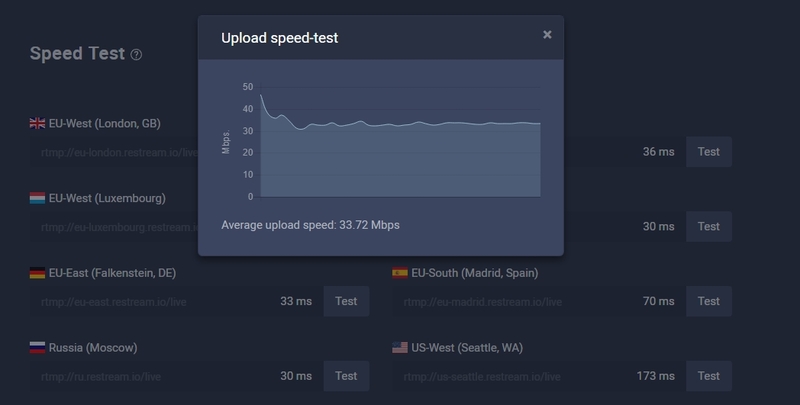 To test your upload speed for a given server, please choose "Test" and then read the information on the graph that is loaded in. For this section, it is better to have a high number of mbs. 2. Choose "Test" on the server you wish to test. 3. Read from the graph presented, the higher the mbs the better! TIP: Make sure to stream in the 75% of kbs provided or lower for best results.